The simple answer to the question when should you buy car insurance is before you attempt to drive a car that you’ve just purchased. It doesn’t matter whether the car is new or used – you still need to have proper insurance and proof of insurance with you at all times before driving your car. Not only do you expose yourself to extreme liability if you attempt to drive a car without insurance, but you can also get yourself in a lot of legal problems and that’s something nobody’s interested in. Purchasing a car in Ontario is, as anywhere, follows regulations for registration and licensing. As a requirement for driving on the province’s roads, every vehicle must have certain minimum insurance coverage, largely for the protection of others who may be affected by a driver’s actions. Therefore it’s not surprising that the registration process starts with car insurance. 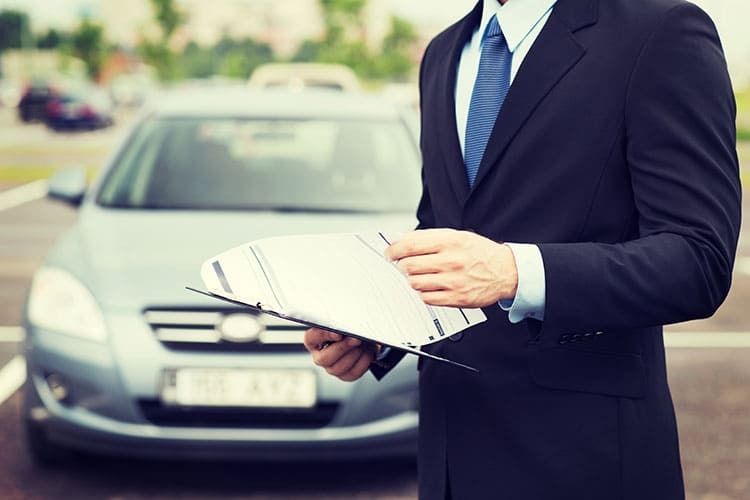 If you buy a new car from a dealer, most of the process is transparent, since the dealer will take care of it to make your purchase trouble-free. You’ll simply arrange car insurance coverage. However, the dealer won’t be able to start until you have that coverage. There’s a bit of timing involved as well as a bit of back and forth. Looking at the process from a used car sales perspective is helpful. You can buy a car prior to insuring it, technically speaking, but you can’t register it or legally drive it until insurance is in place. The seller of a used car in Ontario will have a Used Vehicle Information Package. As a buyer, you are entitled to see this package prior to making your buying decision, and the seller will give the package to you when you agree to purchase. A portion of the seller’s ownership, the Application for Transfer, will be completed and given to you, along with a bill of sale. While that’s all the paperwork you need to complete a purchase, your car is not yet registered to your name. Along with the three documents from the purchase transaction, there are other required documents necessary before you head to the Service Ontario office. These are your driver’s licence and, if you already have licence plates that you’ll use with this car, the plate portion of your ownership permit. This is also where the all-important proof of insurance is needed. You can’t register without it. Once you’re registered, you’re still not roadworthy. Ownership must be in place before you can validate your plates. To purchase current validation stickers, you’ll need a Safety Standards Certificate. This shows that your car is roadworthy to Ontario standards. A Drive Clean emissions test result is the last piece of the puzzle. This shows that your vehicle complies with greenhouse emissions rules. You’re now ready for a licence sticker and cleared for the road. 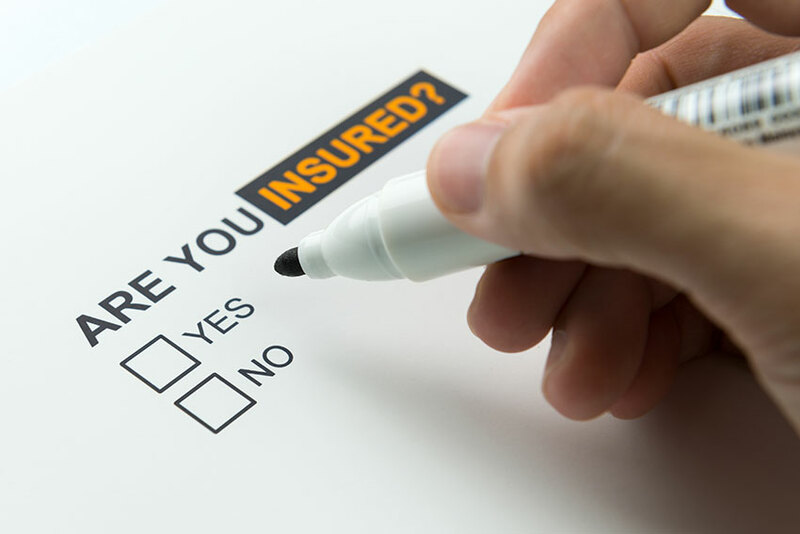 With the flurry of paperwork around the car purchase, it’s possible that you find the hastily arranged insurance doesn’t fit your needs for coverage or budget. Unlike a typical consumer product, you don’t need to return your purchase. Car insurance coverage is easy to modify. Cancellation, on the other hand, comes with fees and additional paperwork. Contacting your agent or broker is all you need to do to alter coverage. Note that Ontario has minimum mandatory insurance coverage amounts that can’t be reduced. If you borrowed money to purchase your vehicle, the financing agency may require additional coverage as a condition of lending. If you’re wondering if there’s a difference between when you should purchase car insurance for a new car as compared to when you should purchase car insurance for a used car the answer is a resounding no. There are certainly differences between owning a new or used car when it comes to options and warranties, but there is absolutely no difference when it comes to insurance. You have to have insurance no matter what, but the level of insurance you take out on either type of vehicle may be different. When you purchase a new car you’ll want to take out comprehensive insurance that covers you for both liability and for the replacement cost of your vehicle. Depending on how old a used vehicle you purchased is and what it’s actually worth you may or may not feel the need to have collision on it. For example, if you purchase a used vehicle for a few hundred dollars there may be very little replacement value in it and therefore no need to have collision to replace for your investment. When it comes to used vehicles you might buy one from a car lot or you may opt for a private sale from an individual owner. Either way, you still need car insurance before you drive the vehicle away, but the difference with a private sale is that you’ll have to do all the legwork yourself. In the case of purchasing a used vehicle from a car lot, the salesperson will often help you obtain insurance if you don’t already have it, or take care of the paperwork and details with your insurance company for you. Anyone that does try to drive a vehicle without insurance is playing Russian roulette with their lives. If you’re caught by the police you’re liable to a fine of over $5000 and I don’t know about you but I don’t have that kind of spare change sitting in my back pocket. It’s a lot cheaper and less stressful to simply purchase insurance. As the owner of a car, you’re ultimately responsible for making sure it’s insured – even if you’re not the one driving it. If you allow someone to drive your car when it doesn’t have insurance they’ll get a small ticket, but you’ll still get the larger fine we discussed above. The bottom line is that it’s simply not worth driving a car without insurance. If you get in an accident and the person in the other vehicle is injured or killed you may be on the hook for a very large bill. As we’ve already mentioned above you will also be facing steep fines. Before you or anyone else drives a car that you own, make sure you have insurance first.